There’s something incredibly comforting about slurping down a hot bowl of Japanese ramen. 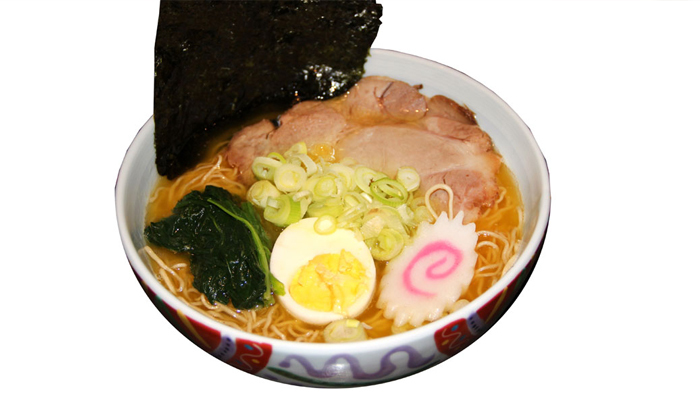 Its rich broth, springy noodles, fragrant chashu, and satisfying egg never fail to offer instant gratification. In fact, we bet you’re craving a bowl of ramen from your favourite restaurant right now as you read this! 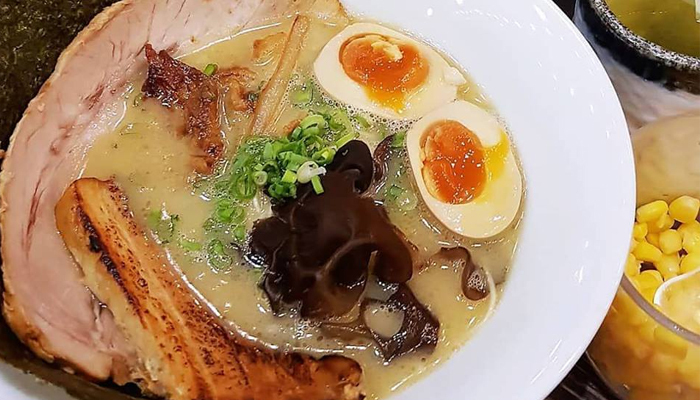 While you have your go-to ramen restaurants, a true ramen aficionado will still be on the lookout for other options for your much-needed ramen fix. 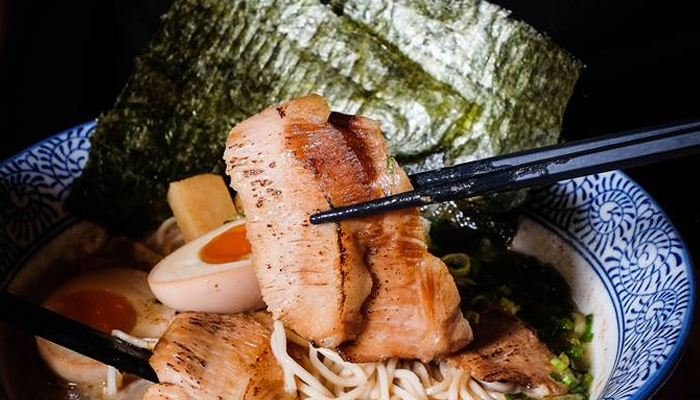 If you’re a ramen fan, bookmark this page. We’re about to offer you a list of 25 ramen joints – from restaurants to hawker stalls – that will fit into all kinds of budgets and taste preferences. 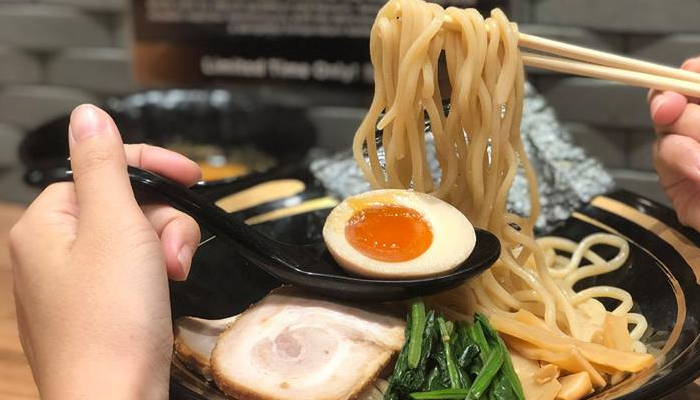 You’re unlikely to miss this ramen shop if you work in the Tanjong Pagar area because of the queue that’s always forming from its door, especially during lunch and dinner time. 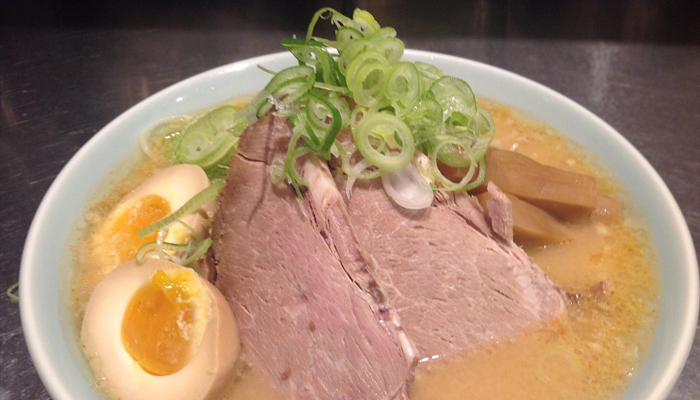 The 18-seater ramen shop serves Japanese ramen with an amazing broth that many would die for. The secret behind its broth? It is cooked with pork bones for 20 hours, to achieve a thick, almost-creamy, milky texture. To experience the full flavour of their signature soup, go for the Sanji Ramen, that is served with fresh bean sprouts, Japanese chashu, mushrooms, and a soft boiled egg. 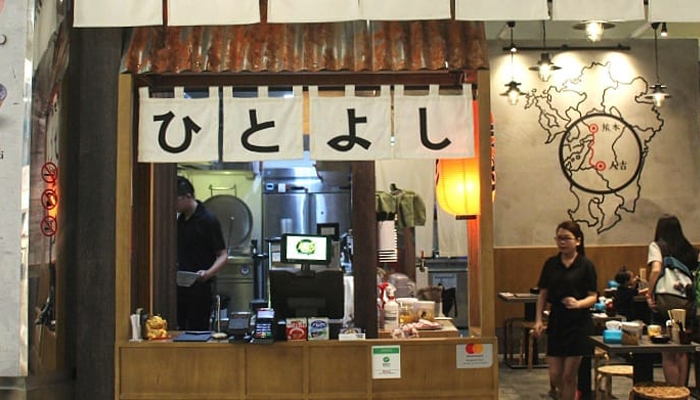 One of the first few Japanese restaurants serving quality ramen in Singapore, Tampoo serves Kyushu and Hokkaido style ramen in a cozy restaurant setting. 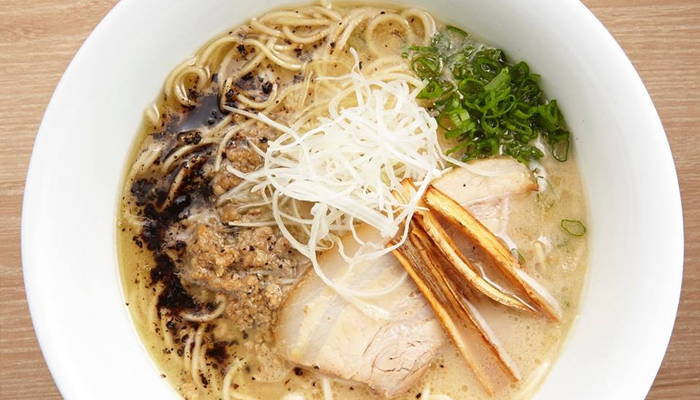 Their most popular item on the menu is undoubtedly the Kyushu style ramen that comes with thin and springy noodles soaked in super thick Tonkotsu broth. The broth at Tampopo is very thick, which means some may find it extra satisfying, while others may find it too salty for their liking. 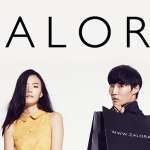 Address: 177 River Valley Rd, #01-23/24, Liang Court Shopping Centre, Singapore 179030 and four other outlets. Some people call Marutama the ‘basketball ramen’ because its logo that resembles an orange basketball. Marutama is best known for its signature broth that’s cooked with chicken instead of pork, which is the usual meat that’s used. While purists say that ramen with chicken broth isn’t authentic, many others love it for its unique flavour that you can’t find anywhere else. 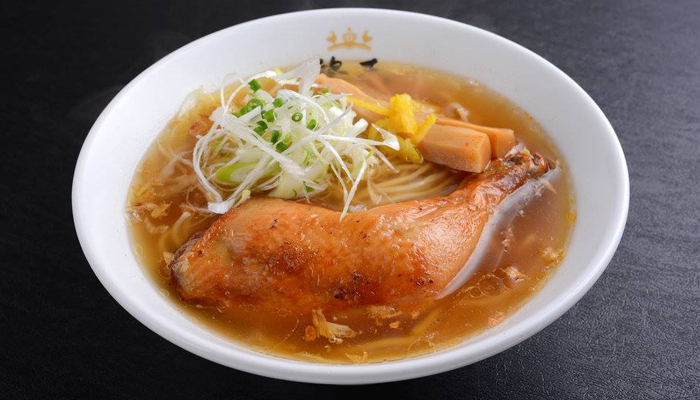 Try the Aka Ramen, with soup made from chicken stock and seven types of nuts. The nutty flavour is a pleasant surprise. What defines Nantsuttei’s signature menu would be their ramen soup that comes with a thick slick of black garlic oil. Cooked with garlic, fried over seven times, the oil imparts a deep and rich fragrance to the tonkotsu broth that regulars can’t get enough of. The Black Ma-yu Ramen is the best dish to go for if you want to truly savour this creamy and luxurious soup. It is served with sesame oil, a generous amount of bean sprouts, a piece of Chashu, and lots of spring onions. 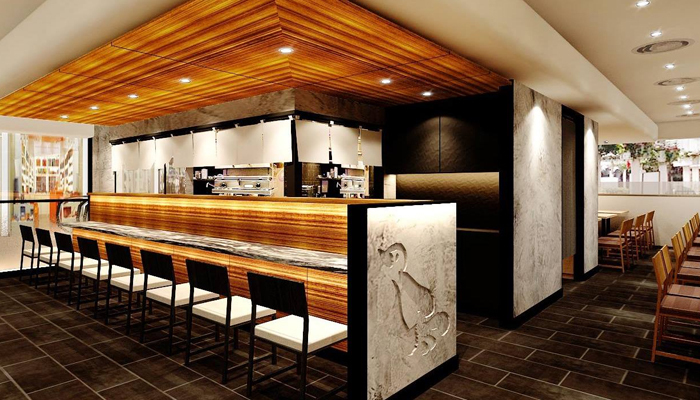 The ramen from Tokyo that earned a Michelin award expanded to Singapore with a spacious outlet, serving their award-winning noodles. 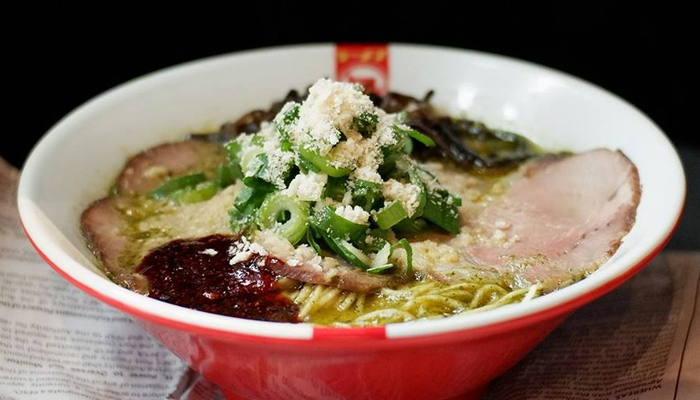 If you love ramen, this must be on your list. 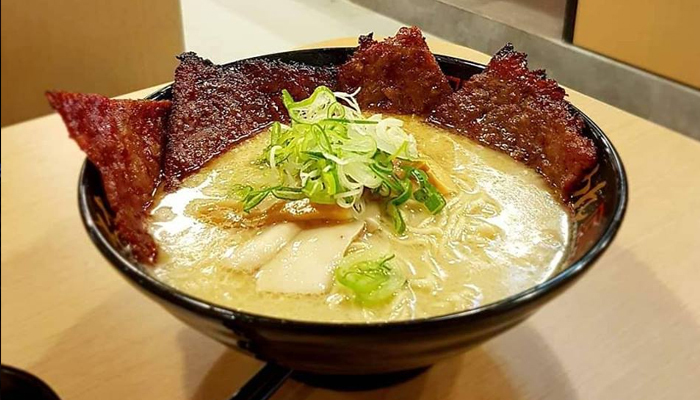 They’re most famous for the broths made with clams, but it seems like what the crowd in Singapore love the most is their Shio Hamaraguri Soup Signature, a lightly salted soup base infused with white truffle oil and black truffle paste, finished with bacon bits’ toppings. 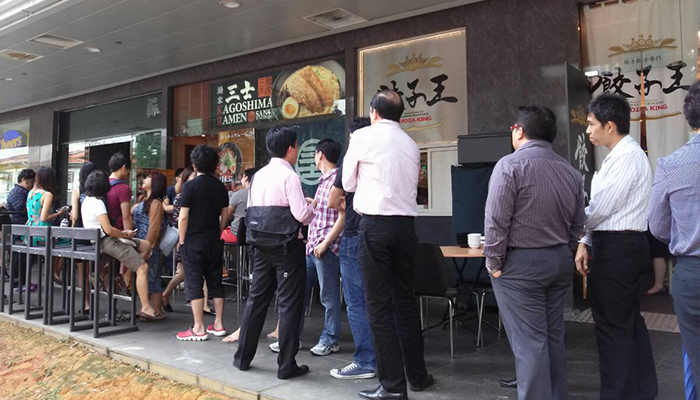 We saw how Singaporeans formed never-ending queues when Ramen Keisuke Tori King first opened its doors back in 2012. 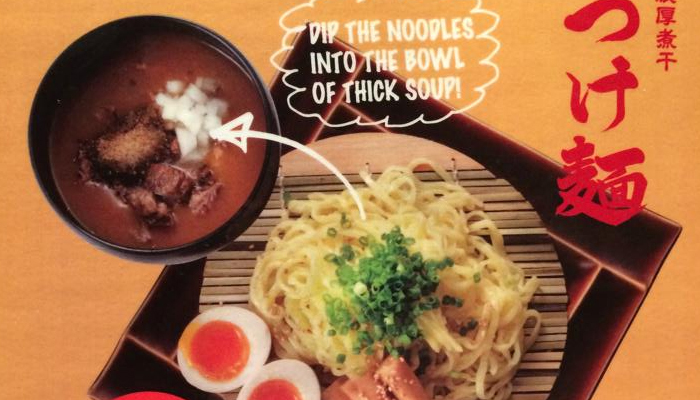 What draws foodies over to this ramen shop is probably the huge drumstick that comes with the bowl of ramen. The Tori King ramen, which features a tender, grilled chicken thigh paired with slices of Japanese chashu in a bowl of hearty ramen soup is what ramen dreams are made of. Also, the soft boiled eggs here are free-flow – so eat to your heart’s content, that’s if the huge chicken thigh and ramen noodles aren’t already enough to fill you. Opening hours: 11.30am – 3.00pm, 5.30pm – 10.00pm, Mon – Fri; 11.30am – 10.00pm, Sat &Sun. Tucked in a quiet area of Takashimaya’s food basement, Baikohken serves affordable and comforting bowls of Japanese ramen. Choose from miso, shio and shoyu soup bases and add on toppings like corn, chashu or eggs. While Baikohken might not be the tastiest ramen in Singapore, we love how it’s affordably priced and delivers noodles of great quality. It’s definitely the most value for money! Try the Shio ramen – a clear salty broth – and sprinkle as much garlic bits and build up the flavour to your liking. 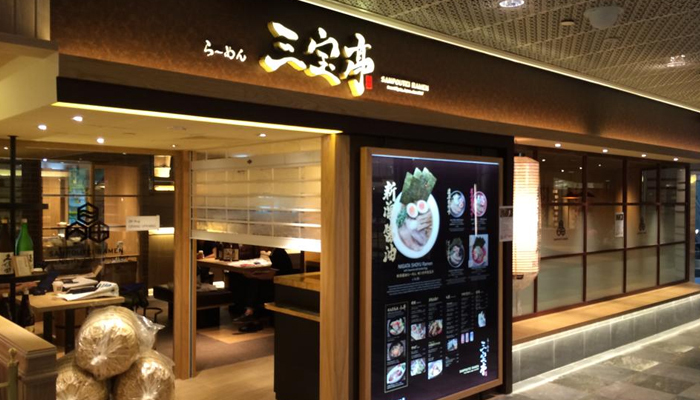 The chain ramen from Kanagawa Prefecture opened its first outlet in Wisma Atria’s Japan Food Town. Like many other ramen restaurants, you’ll get to choose from three different levels of hardness for your noodles, that are handmade daily. They recently added Tsukemen (cold noodles served with hot spicy miso soup to dip) to their menu and it was an option that is welcomed by fans. The savoury broth was extra flavourful and pairs extremely well with the springy noodles. The noodles here are thicker than your usual ones, but we think it complements the thick flavour of the miso soup. Their signature Tokusen Toroniku (ramen served with grilled pork cheeks) is what people queue up for. Pieces of tender and juicy pork cheeks are deliciously cooked, presented as the perfect side to pair with their rich broth. They serve only 60 bowls of these a day, so you’ll definitely want to go early if you try it. If you’re too late to get hold of the Tokusen Toroniku, then opt for the Shio Ramen, which is also a delectable choice. 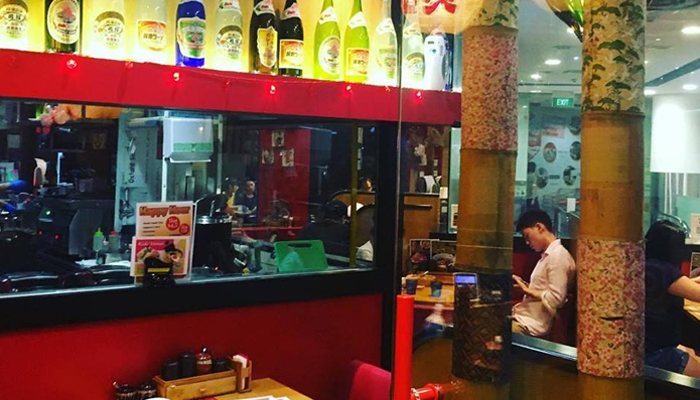 Anyone who works around the Boat Quay area would certainly know the Ramen Bar Suzuki. It’s common to see a buzzing crowd during lunchtime, and the place is packed with office workers slurping down their bowls of ramen. At lunch, the restaurant offers unlimited servings of steamed rice, bean sprouts, and hard-boiled eggs. The Hakata style ramen served here comes with thinner noodles, and you can choose to have them in white tonkotsu, jet black (squid ink and garlic), cardinal red (spicy miso and pork), emerald green (basil and chees) or sakura pink (prawn) broth. 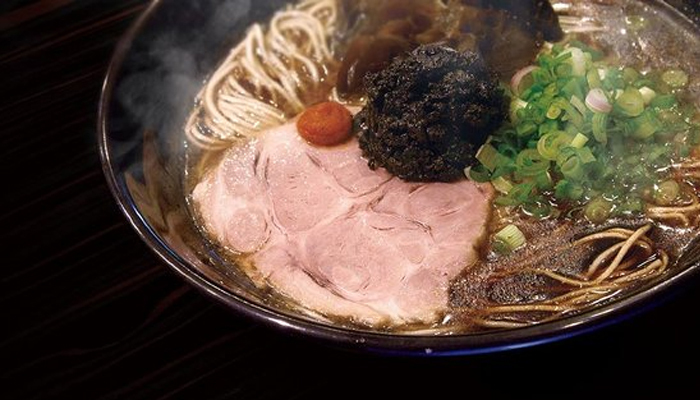 The jet black Tonkotsu Ramen has a savoury pork broth with a twist, and is certainly one of the favourites here. Opening hours: 11.30am – 3.00pm, 5.30pm – 12.00am, closed on Sundays. Another ramen place with free flow eggs, this two-time Ramen Champion winner has tonkotsu bases with a distinct rich and thick taste. 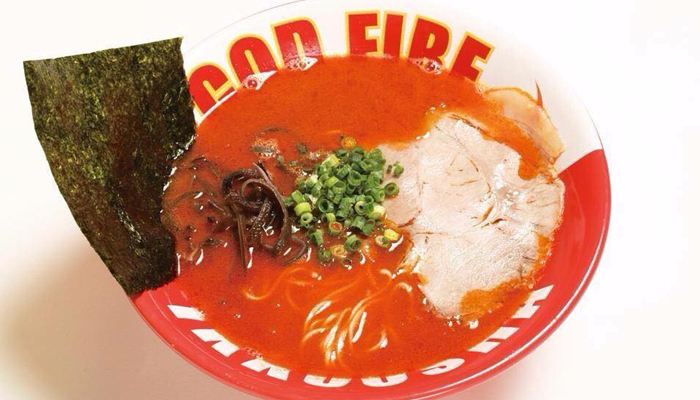 Take your experience to a new level with the ‘God Fire’ ramen, a spicy version of their tonkotsu broth that’ll leave your tongue burning. Available from level one to level four, Ikkousha hints that there’s a secret message on the ramen, which you can only find out after finishing the entire bowl of soup. This bright red bowl of ramen is definitely not for the faint of heart but is a challenge you should go for if you can. 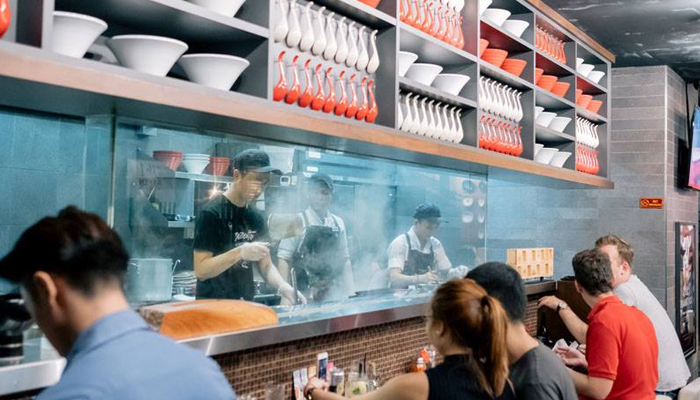 One of the most famous ramen chains from Japan, Ippudo easily expanded into several chains across parts of Singapore. 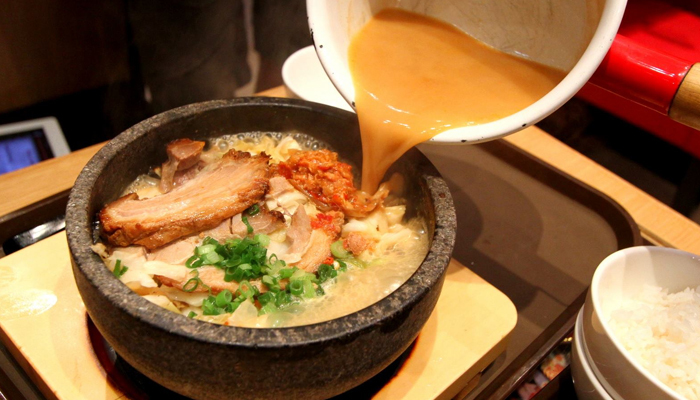 Deliciously cooked ramen served with juicy, tender chashu, you’ll never go wrong with Ippudo. The thick broths are flavourful but not too salty, accustomed to Singaporeans’ taste buds. The Spicy Black, served with a homemade minced meat curry miso paste is the special menu only available in Singapore and you should order it if you’re looking for something different. 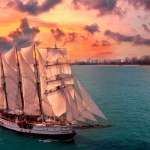 Address: 333A Orchard Road, #04-02 /03 /04, Mandarin Gallery, Singapore 238897 and six other outlets. 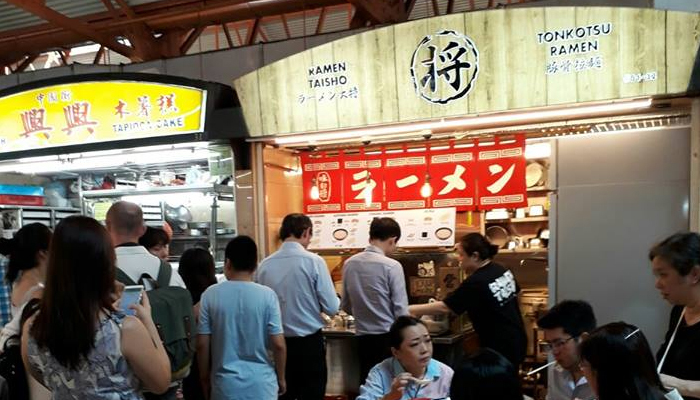 Get your ramen fix at at a hawker centre, but be prepared to queue during lunch hours. 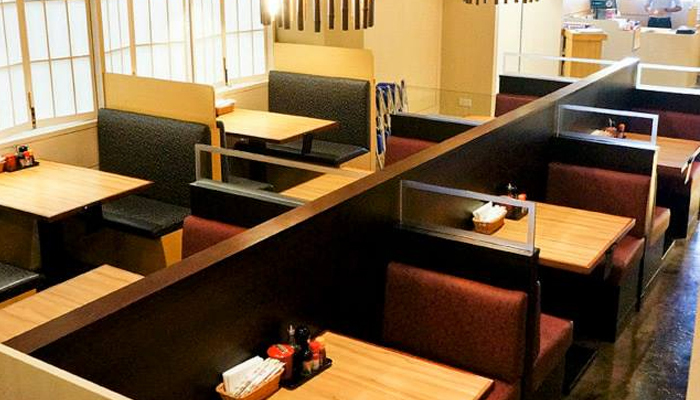 A favourite among office workers in the CBD, Ramen Taisho offers ramen below SGD10. 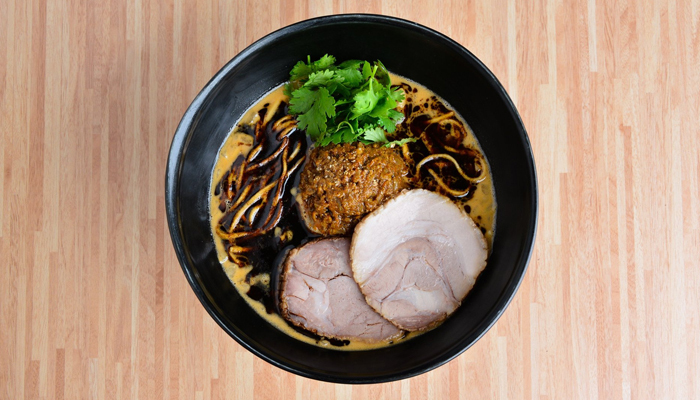 Although they have no fancy menu or creative fusion mixes here, you can choose between meat or eggs for your ramen topping that is cooked with traditional pork broth. Opening hours: 11.00am – 9.00pm, Mon – Fri, closed on weekends. 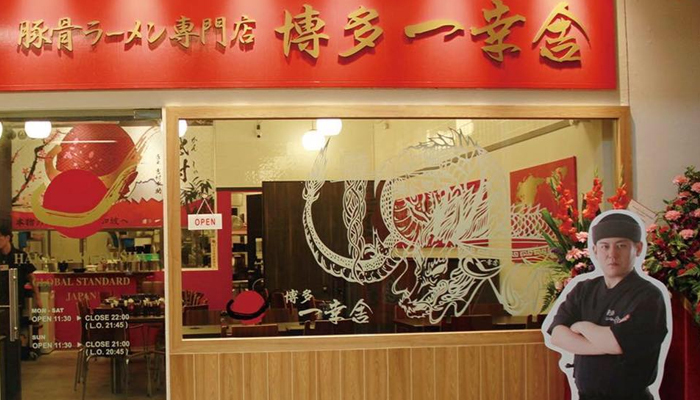 From Niigata, this ramen chain has been established for more than 30 years. 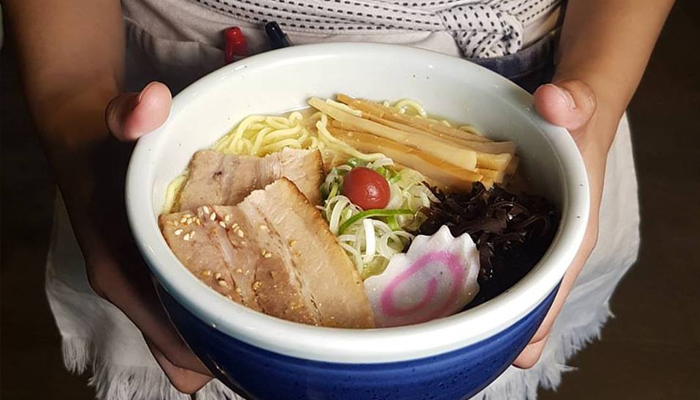 Their broth – boiled with vegetables, chicken, pork bone, and dried sardine – offers an unique taste that you won’t be able to get from many other ramen shops in Singapore. Try the Rich Dried Sardine Tsukemen, served with a plate of springy noodles, a soft boiled egg, and bamboo shoots. The soup dip is filled with thick and rich sardine, making it a comforting meal and a must-order for many. 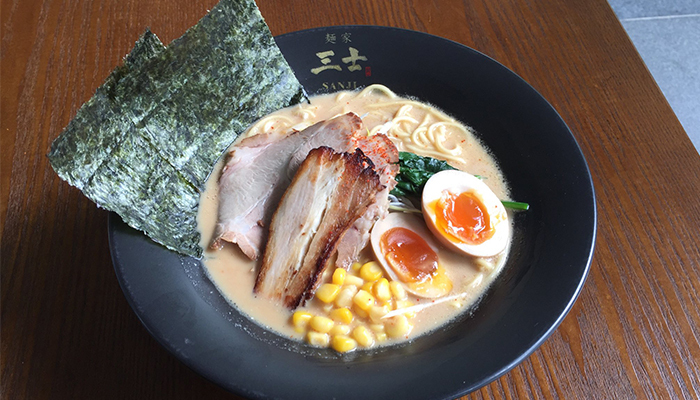 Best known for its Volcano Ramen, Tonkotsu Kazan Ramen offers an interesting dining experience. There’s a recommended way to enjoy this stone-pot ramen. Your ramen will first be served with ingredients all in the pot., The staff will come over to pour preheated 300-degree Celsius hot soup into the bowl, creating sizzling sounds. You should then quickly cover the pot with a conical lid. Listen to the ‘eruption’ as the soup and noodles starts to cook inside. Once done, remove the lid and enjoy the ‘erupted’ ramen. Add on rice into the remaining soup after you’ve finished the noodles, for tasty stone-pot rice. If you love the soup, you’ll be happy to know that refill is free. Opening hours: 11.00am –10.00pm on weekdays, 11.00am – 3.00am on weekends. Expanded from the famous Fukuoka ramen chain established in 1953, this place serves their signature Uma Uma Ramen (Hakata noodles in tonkotsu broth), which has a thick broth with umami flavours. Try Mazesoba, a dry-style ramen created in Singapore. 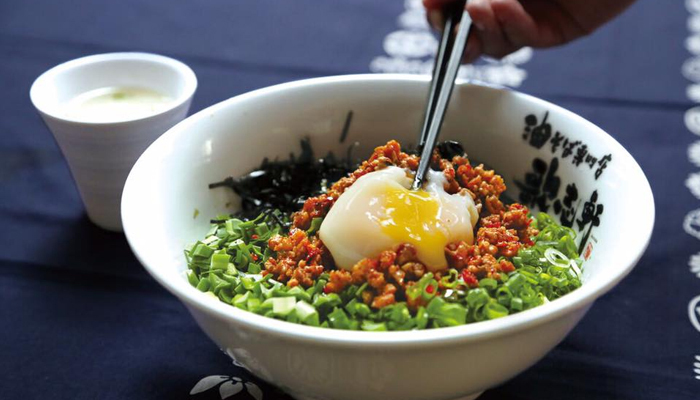 Filled with chashu bits, spring onions, bamboo shoots, chilli oil, leeks, sesame seeds and topped with an onsen egg, the Mazesoba gives a different flavour from the usual soup-based ramen. Kajiken is another ramen restaurant to visit if you enjoy Mazesoba. 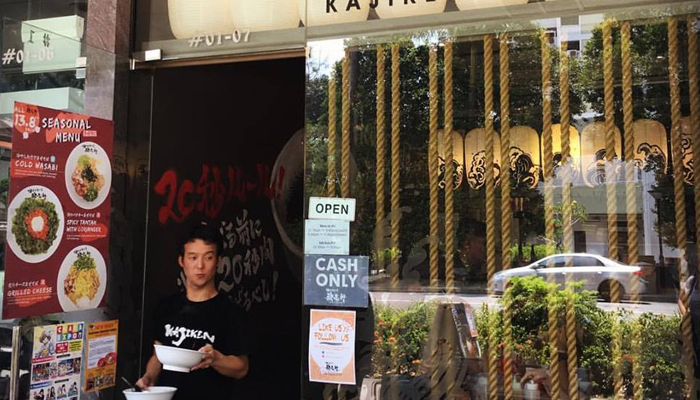 The first shop to serve dry ramen in Singapore, Kajiken is a relatively small shop along Tanjong Pagar. Although it is also popular for their chicken broth ramen, its Mazesoba is certainly the highlight. Choose among different toppings and even fried chicken to add to your ramen! Don’t be turned off by the bowl of vegetables seen in the menu with its best-selling dish, the Mazesoba Nagoya Style – the spring onions, seaweed and minced meat go really well when mixed together. Probably one of the cheapest ramen you can get in Singapore, the ramen here goes for as low as SGD7.90. Despite the low price, the ramen comes with generous portion noodles and meat. Add either pork belly or pork cheek to enhance the flavour of your bowl of ramen. 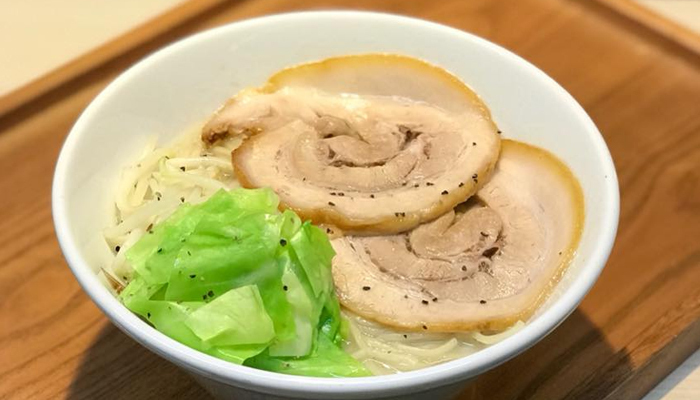 Founded by a bunch of passionate Singaporeans, Takagi Ramen serves the usual thick and sweet tonkotsu ramen that everyone loves, but what’s special here are the innovative menu they create seasonally. Previously, there was the salted egg flavoured ramen served with salted egg crab. Now, they’re adding the bakkwa ramen to the menu, featuring bakkwa that is made in-house without any preservatives. 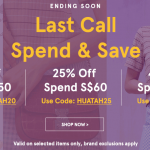 Address: (AMK Outlet) 51 Ang Mo Kio Ave 3, [email protected], #01-01C, (NUS Outlet) Pines Foodcourt, 27 Prince George’s Park., (Jurong West Outlet) Blk 498 Jurong West St 41, #01-452, (Pasir Ris Outlet) 1 Pasir Ris Close, #02-316, Downtown East E!Avenue. Although YAYOI is a Japanese restaurant that most people visit for their delicious Namban Chicken, did you know they sell ramen too? Their ramen menu is pretty regular but their yasai ramen is something you can consider if you want something a little different. This ramen comes with lots of vegetables and less oily broth if you don’t want to steer away from heavy broths. 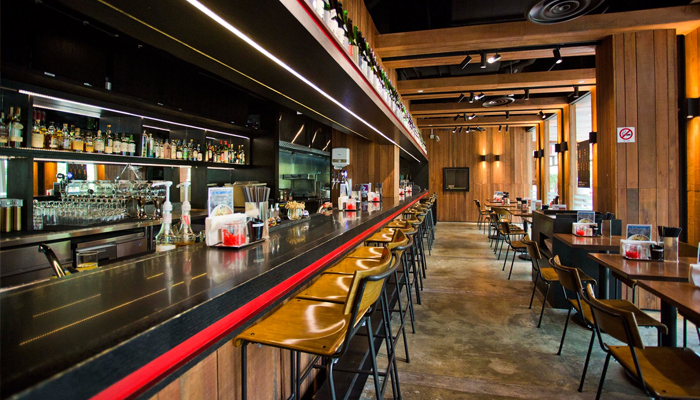 Address: YAYOI operates across eight outlets in Singapore. Sapporo Ramen Miharu was one of the first few authentic ramen restaurants available in Singapore before more famous big ramen chains from Japan came in. Originally located at Gallery Hotel, it moved to Millenia Walk a few years back, but the quality of ramen doesn’t change. 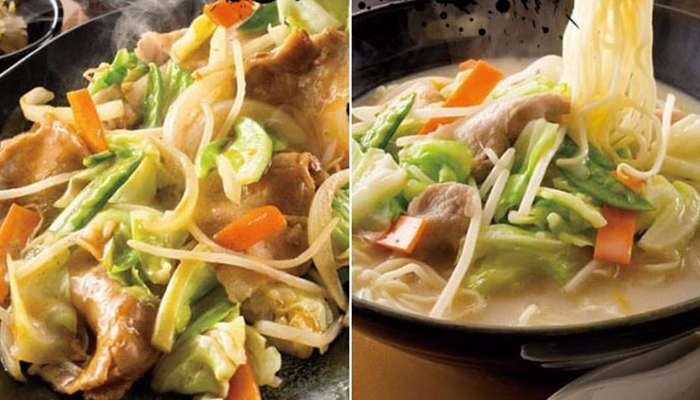 The Sapporo ramen here comes with savoury, flavourful soup base that’s very comforting. 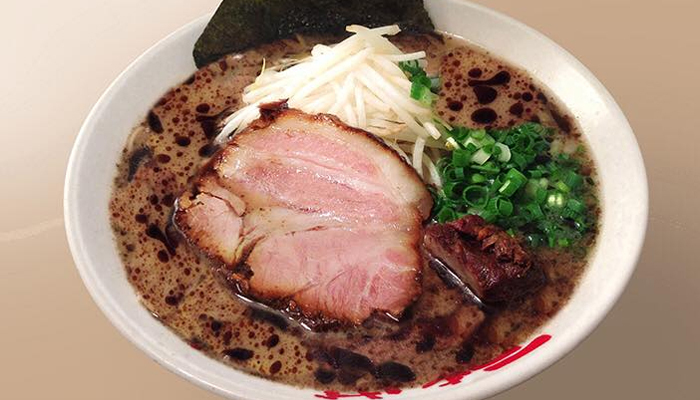 Go for the Tokusen Shio Tonkotsu if you want a feel-good meal. 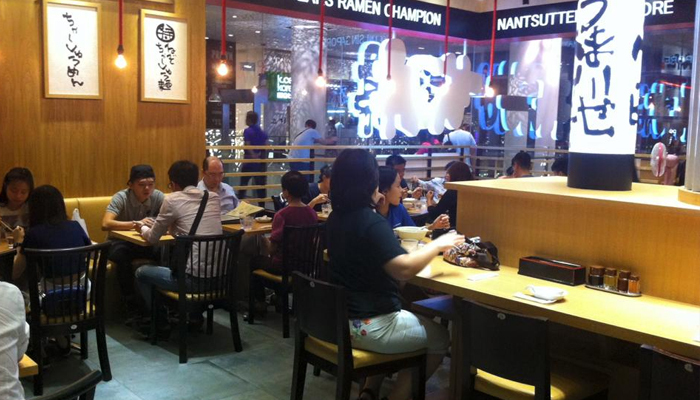 Hailing from Fukuoka, Ramen Nagi has expanded to several locations in Asia, including Singapore. You can customise your own bowl of ramen according to richness of soup, spiciness level, hardness of noodles, amount of garlic, and choice of meat. With the flexibility to customise, you can be sure you’ll be able to pick something that’s to your liking. Try the Green King, a soup base with fresh basil, olive oil, garnished with Parmesan cheese, for a modern taste. 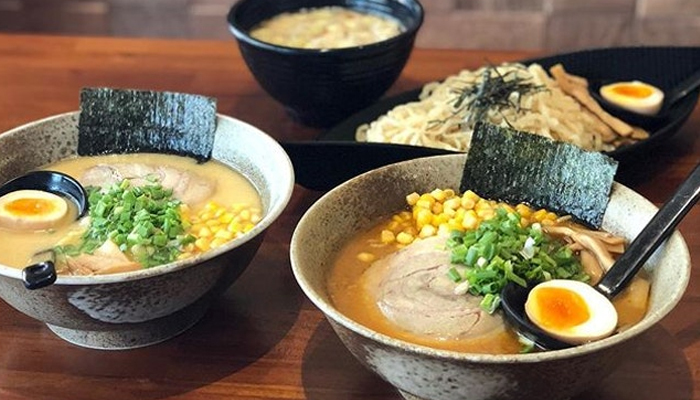 Ramen Hitoyoshi is located inside Harbourfront Centre and is opened by two local chefs who cook up thick, creamy pork bone soup served with in-house garlic oil. Like many other ramen outlets, you can customise your ramen and enjoy free-flow sides such as bean sprouts and corns. 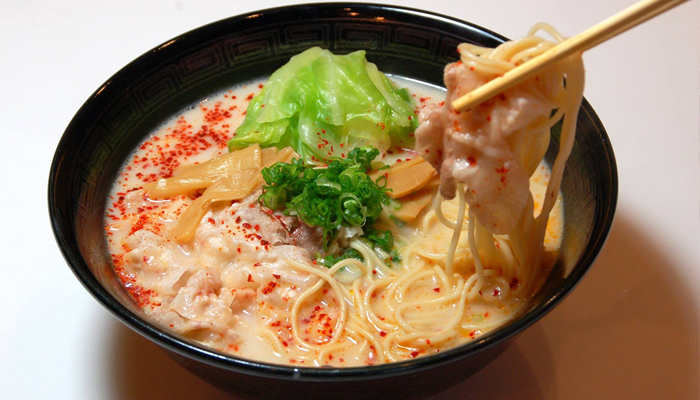 The Original Tokotsu with All Toppings is what you need for a hearty bowl of delicious tonkotsu ramen. 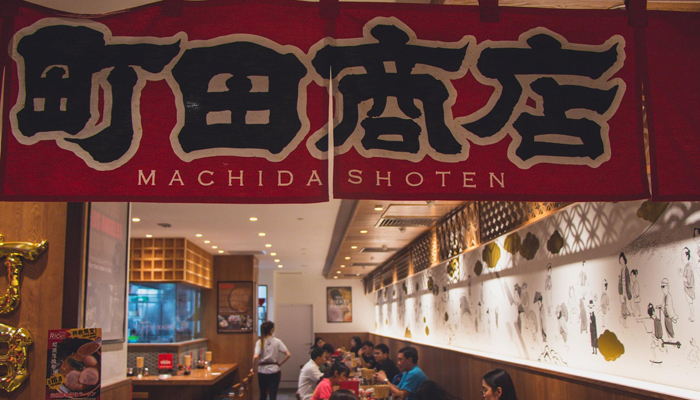 Known for their soft chashu that melts in your mouth, this place serves an array of ramen variations. From the traditional Kyoto-style Shoyu ramen to the modern Mazesoba, Otoko Mazesoba is where you can find the ramen you love. 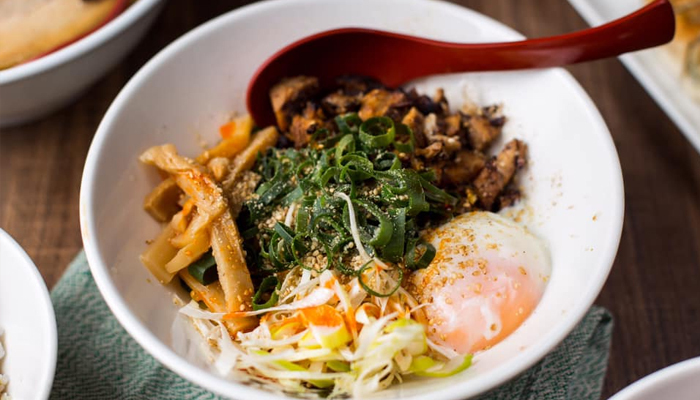 One of their popular dishes, the spicy mazesoba adds a kick that makes for an interesting dish to try. 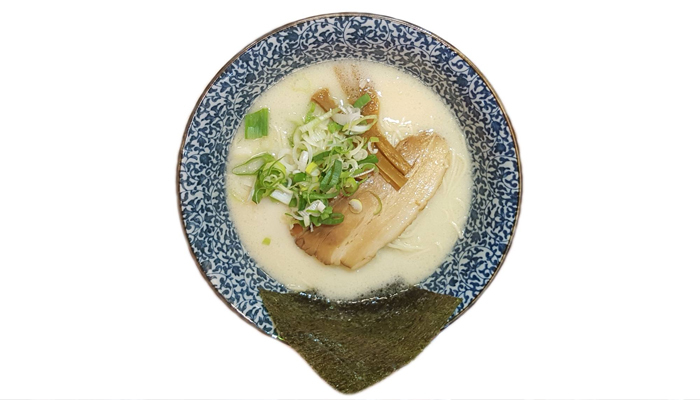 To taste an authentic tonkotsu broth, try the new Tonkotsu Motoaji, a simple dish made with minimal spices and garnishes so that you can savour the original taste of the pork bone soup that has been boiled for hours.